Happy Friday all! Welcome to Mrs. Lincoln's Inkin' and today Friday's Video. 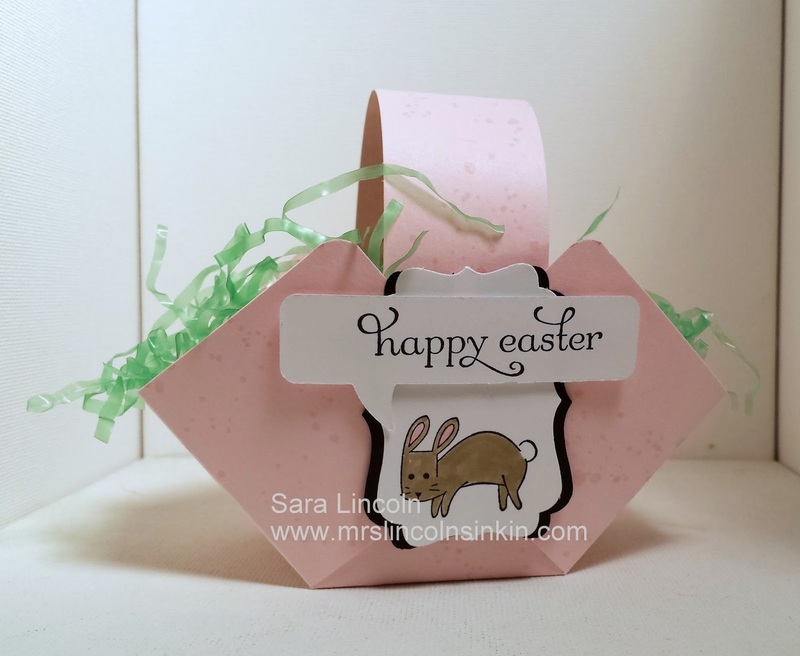 Today's share is of a 3D Project, an Easter Basket made from a single sheet of 6x6 piece of card stock (not including the small piece you will use for your handle). Easter is right around the corner and isn't a cute little Easter basket a great little gift to give to someone, full of candy and goodies?!?!?!? Yum!! 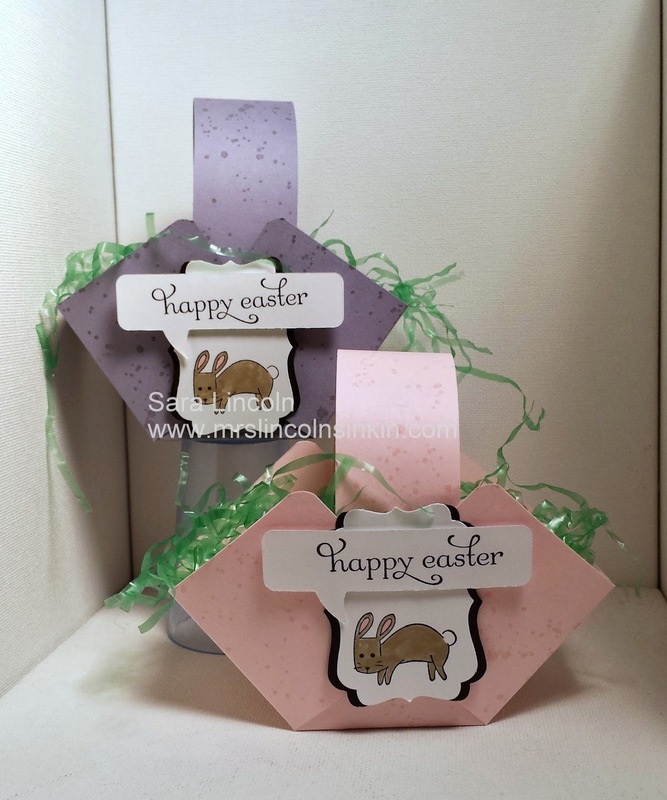 These little baskets are soo cute and you are able to make the main basket in multiples in a short amount of time. I showcased these baskets as a Thank You at one of my workshops and they were a huge hit! That is how i know you can make multiple in a short amount of time. Let's go ahead and take a look at today's video. I can't wait!! Here we go!!! Isn't that an adorable little basket? In case you missed the 2 measurements of the pieces that you are going to need, here they are. 1 piece of card stock cut at 6"x6" and then scored at 2" and 4" all around and then you need your handle cut at 1 1/4" x 8". That's it! The item that i am showcasing today is the Life In The Forest which is in the Occasion Mini right now! Now don't forget, there is only 5 days left until Sale-A-Bration is over! You don't want to miss out on the wonderful items that you can get for FREE.... a free item for every $50 you spend in SU! product. Click HERE to view the entire brochure!